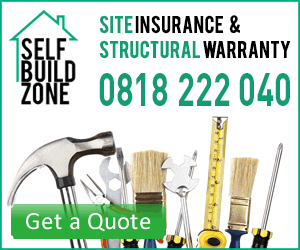 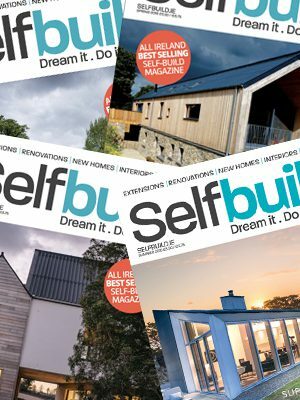 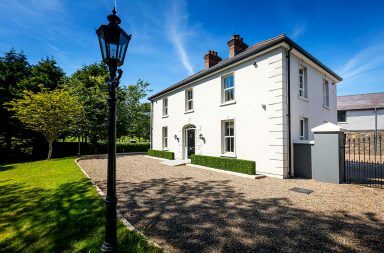 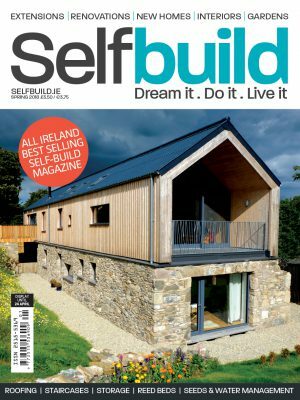 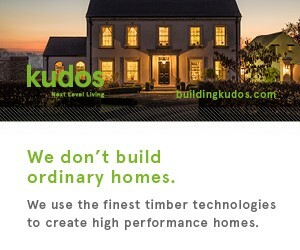 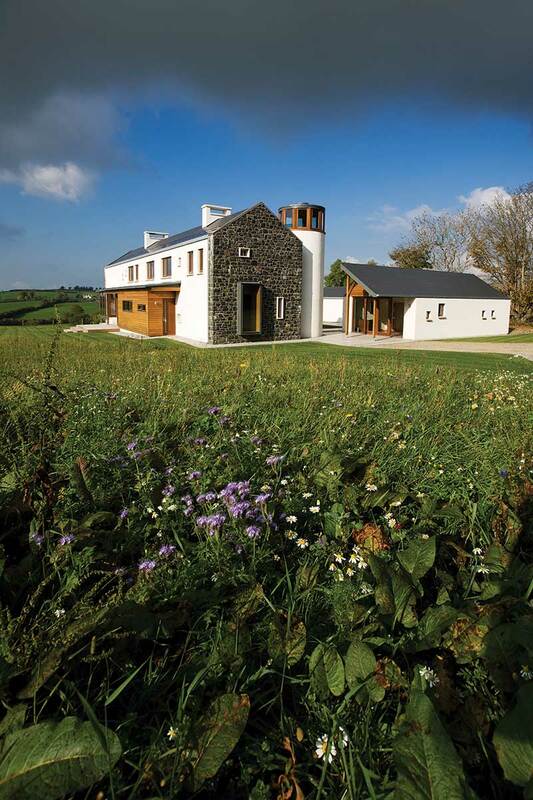 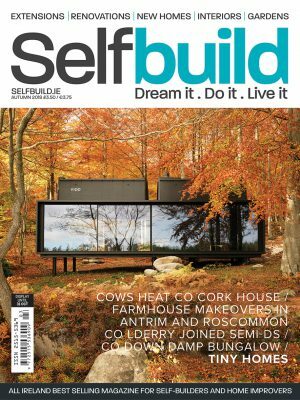 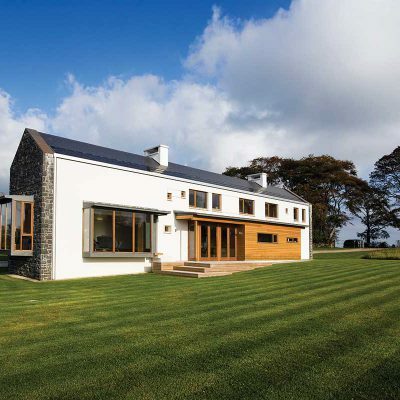 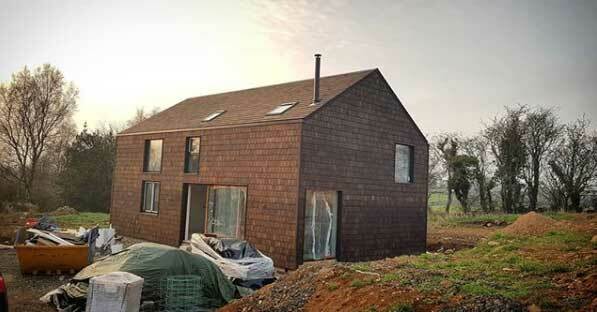 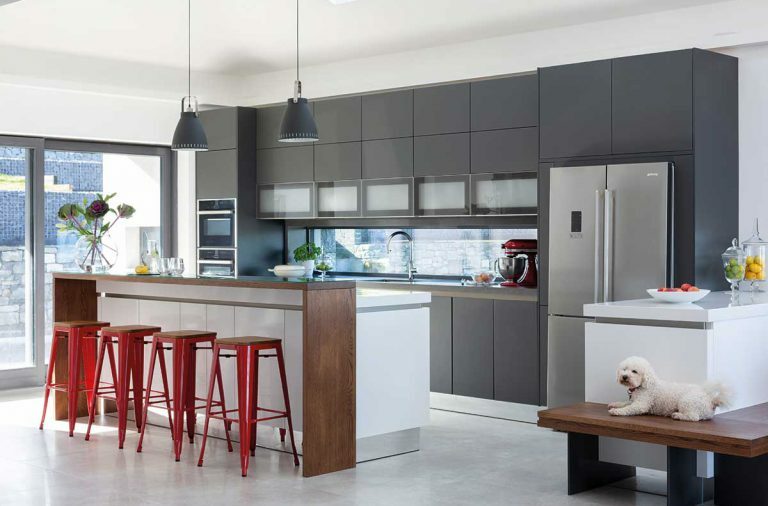 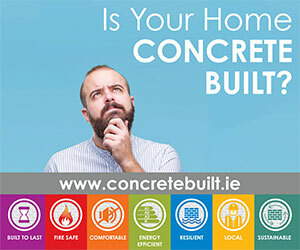 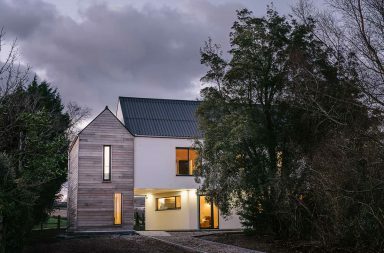 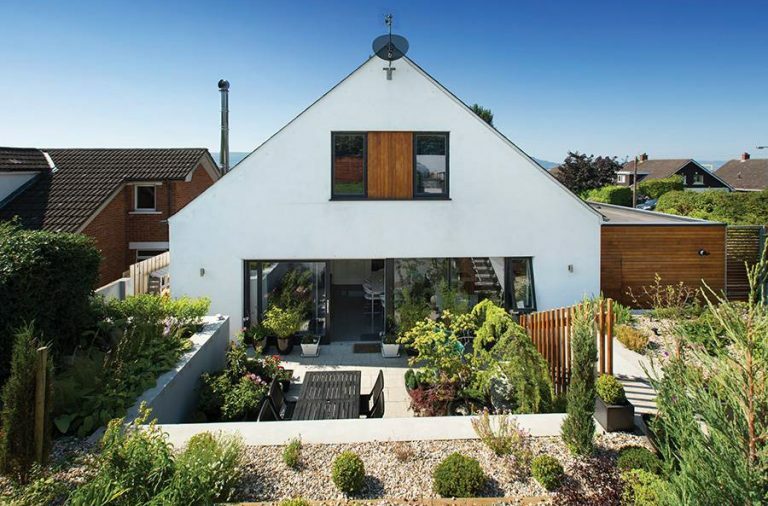 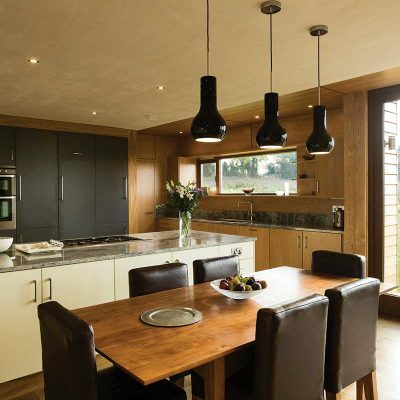 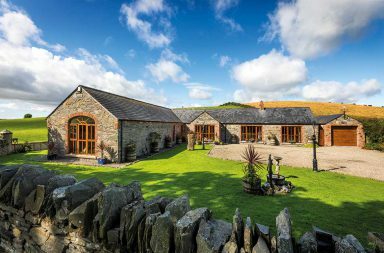 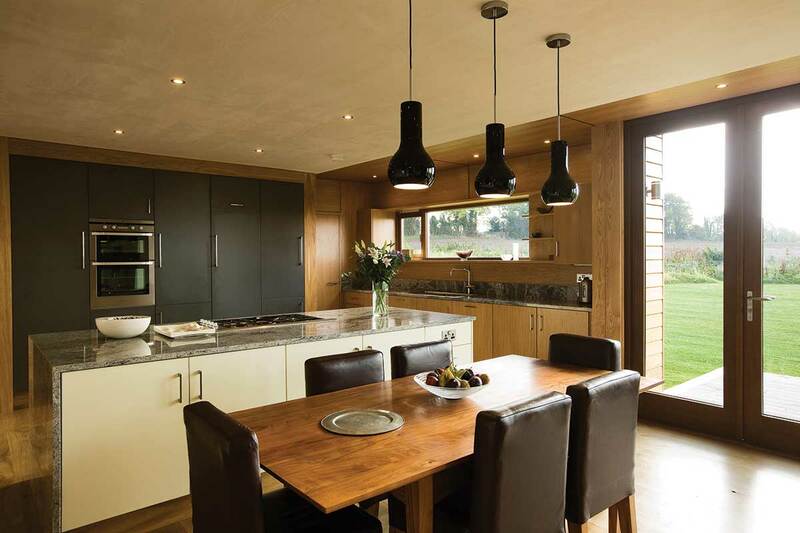 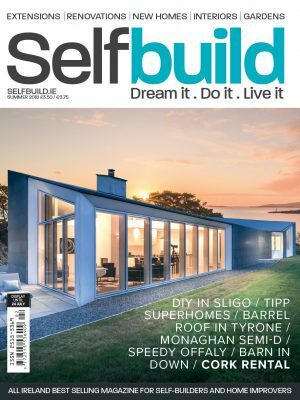 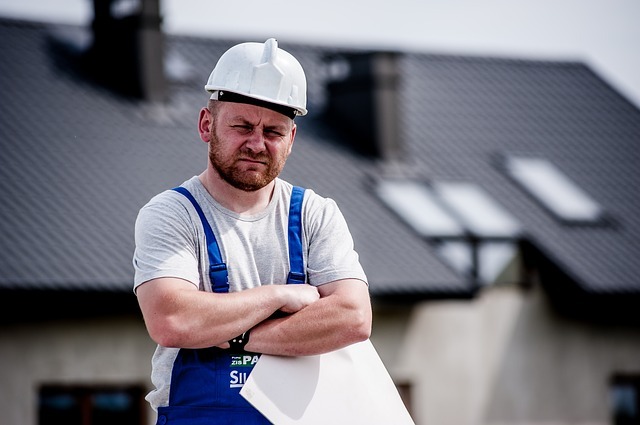 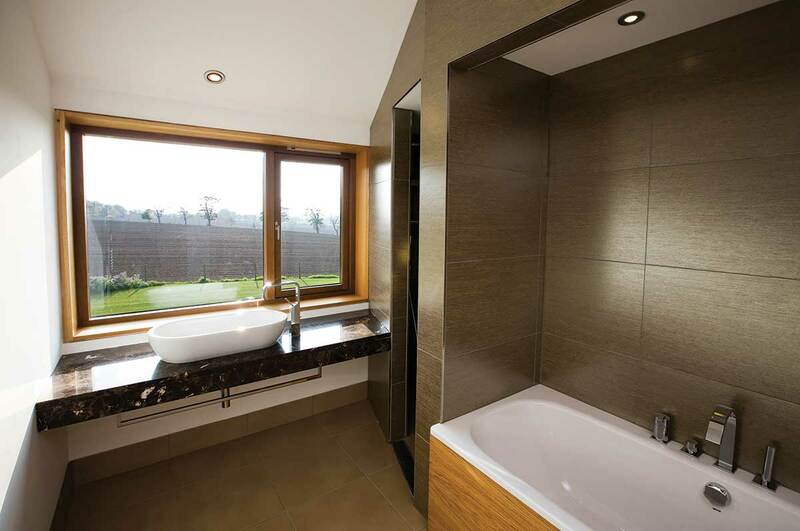 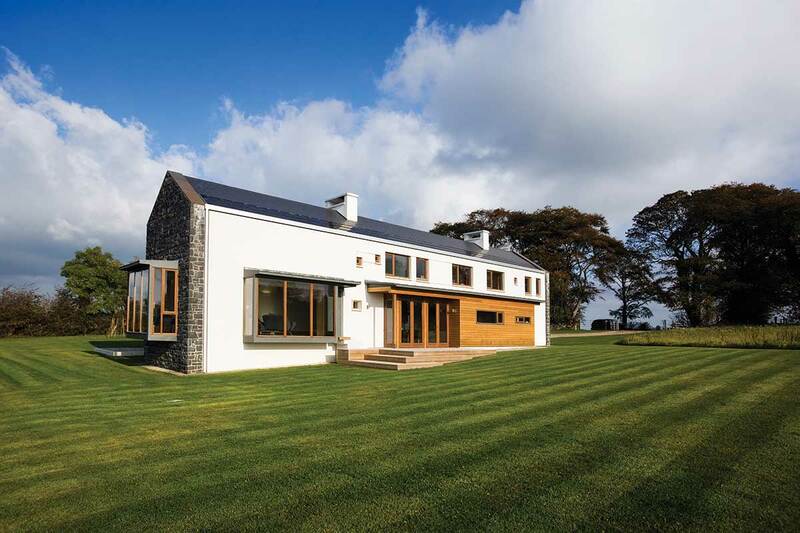 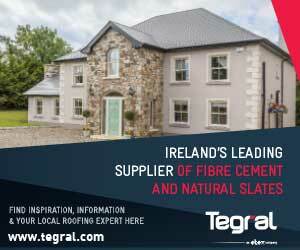 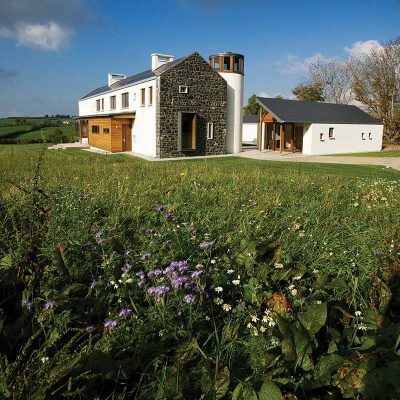 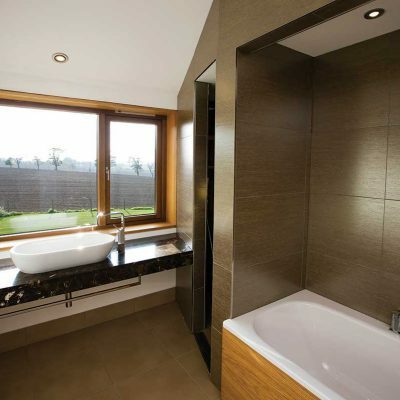 We bring you the homes Irish architects, engineers and other house building designers live in. 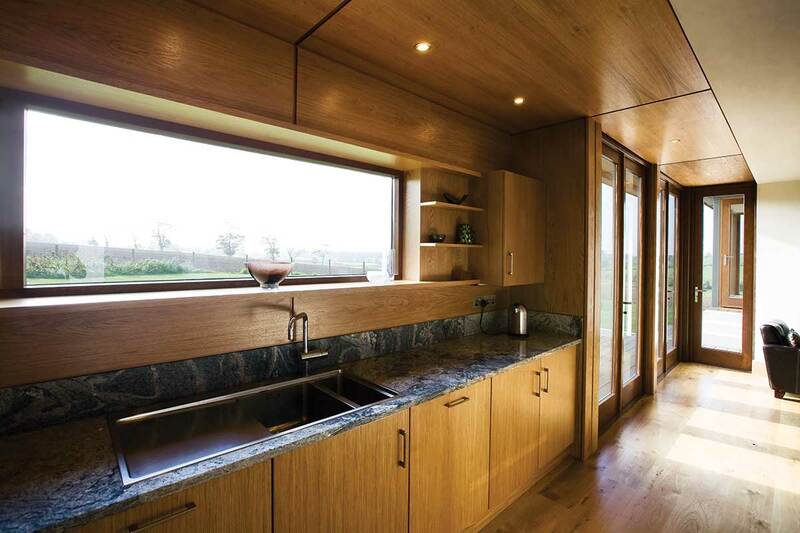 The orientation of the house makes the most of sunlight and gives beautiful views of the valley. 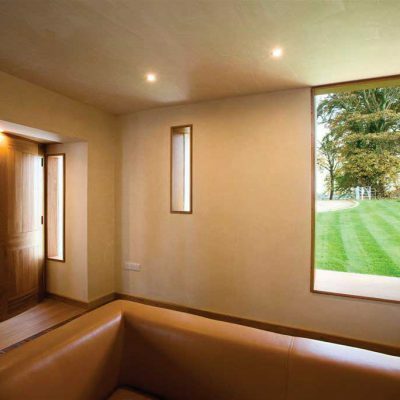 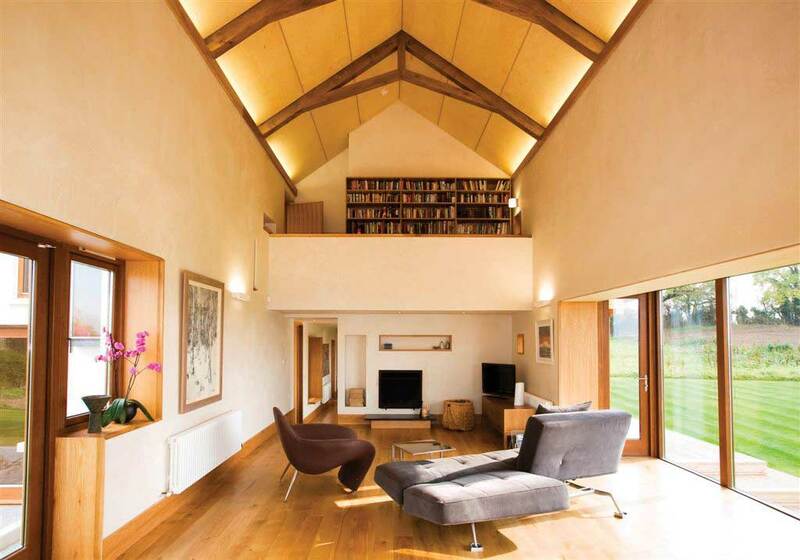 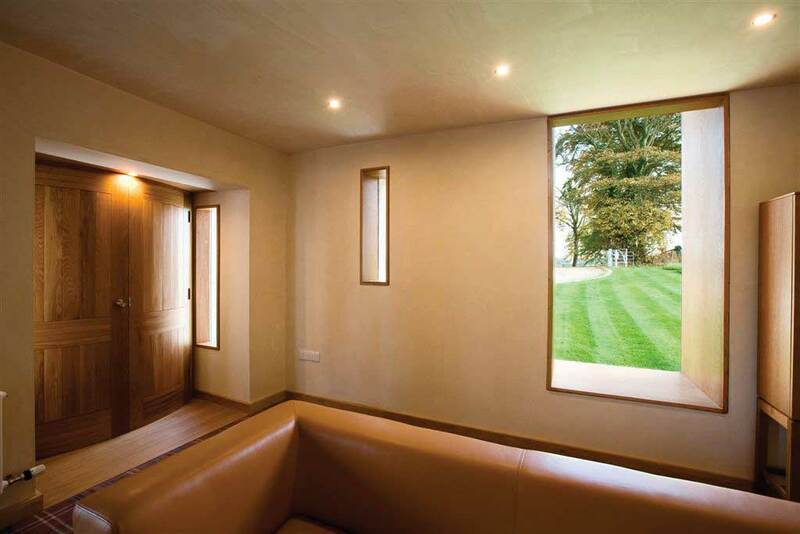 Liberal use of timber detailing in window seats and ceiling finishes and the unfinished natural plaster walls give the house warmth as a family home. 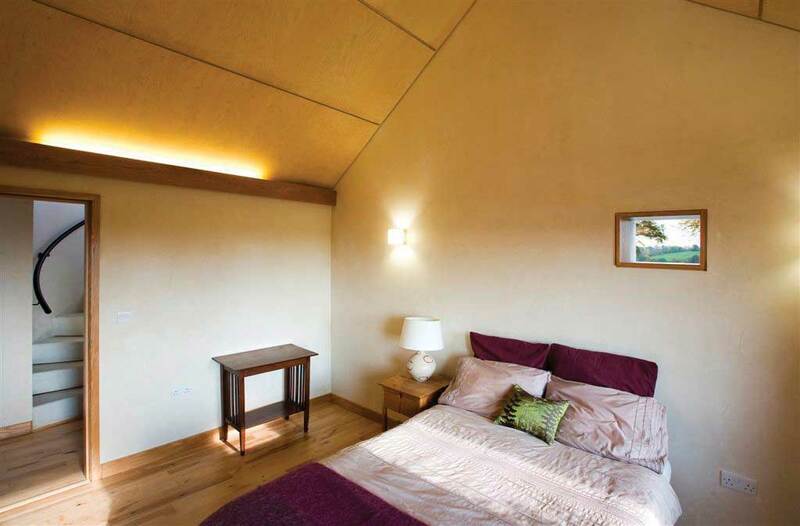 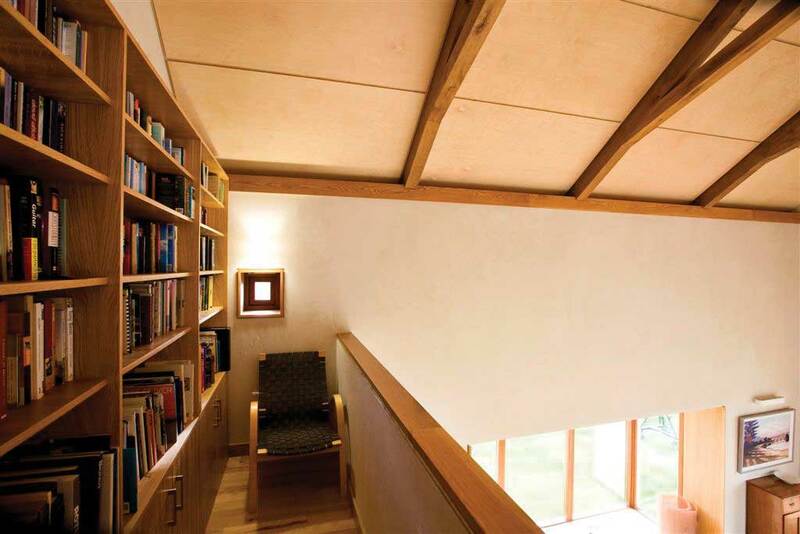 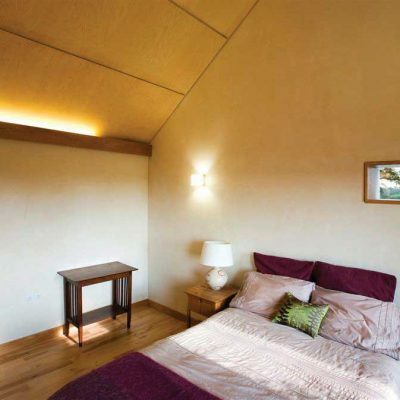 Cheaper materials have been used to great effect such as birch faced ply paneling on the ceilings of the childrens’ bedrooms. 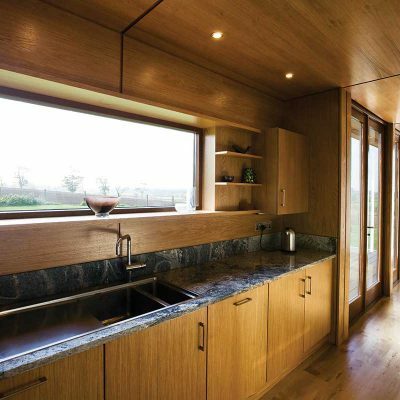 Windows are varied and relate to their framed views, contrasting between oak framed and revealed window-seats set deep into the wall, and projecting frameless glazing sheeted externally in zinc. 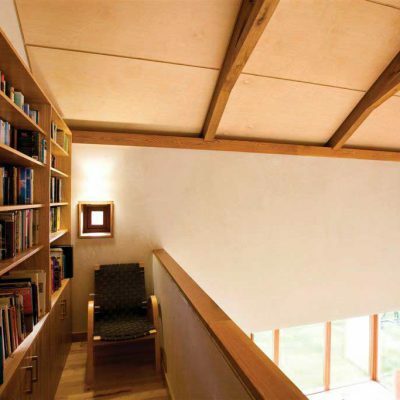 Internally, groups of niches specifically designed for objects and fireplaces create focus points, becoming part of the furniture of the rooms. 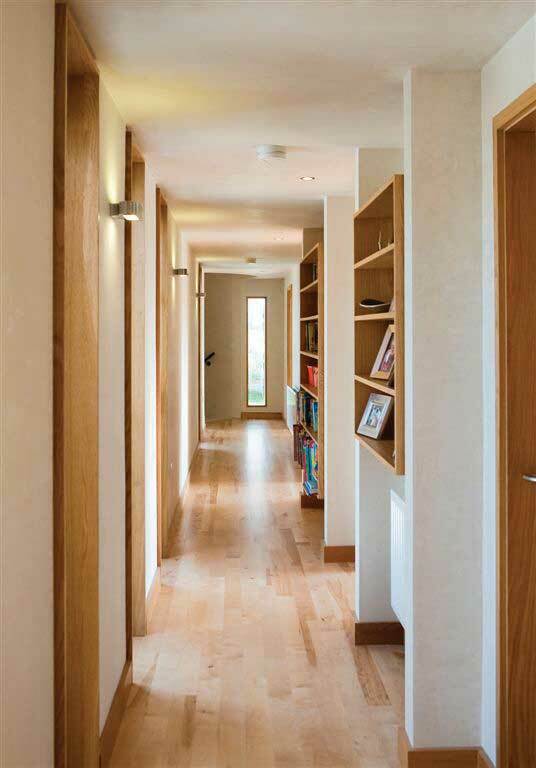 The house has been designed to create a series of surprises – curved oak barrel doors reveal a white concrete stair leading up to the lookout tower; the long gallery leads to a library overlooking the main living space; hiding places and peep-holes abound. 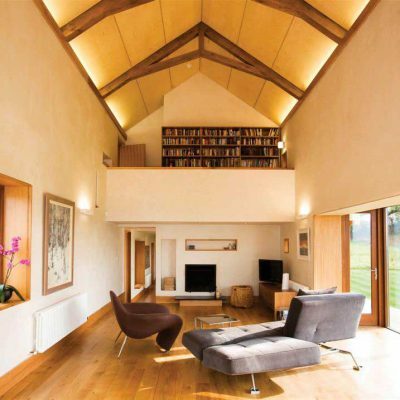 These spaces give a sense of childlike joy as the house is explored -the circular tower really catches the imagination of all young visitors! 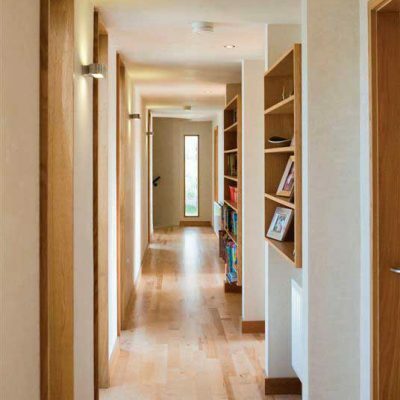 The whole open plan ground floor is a much used and loved family living space.